The Mediterranean has been for millennia one of the global cockpits of human endeavour. World-class interpretations exist of its Classical and subsequent history, but there has been remarkably little holistic exploration of how its societies, culture and economies first came into being, despite the fact that almost all the fundamental developments originated well before 500 bc . This book is the first full, interpretive synthesis for a generation on the rise of the Mediterranean world from its beginning, before the emergence of our own species, up to the threshold of Classical times. Extensively illustrated and ranging across disciplines, subject matter and chronology from early humans and the origins of farming and metallurgy to the rise of civilizations Egyptian, Levantine, Hispanic, Minoan, Mycenaean, Phoenician, Etruscan, early Greek the book is a masterpiece of archaeological and historical writing. Lucarini, G., Radini, A., Barton, H., Barker, G. 2016. 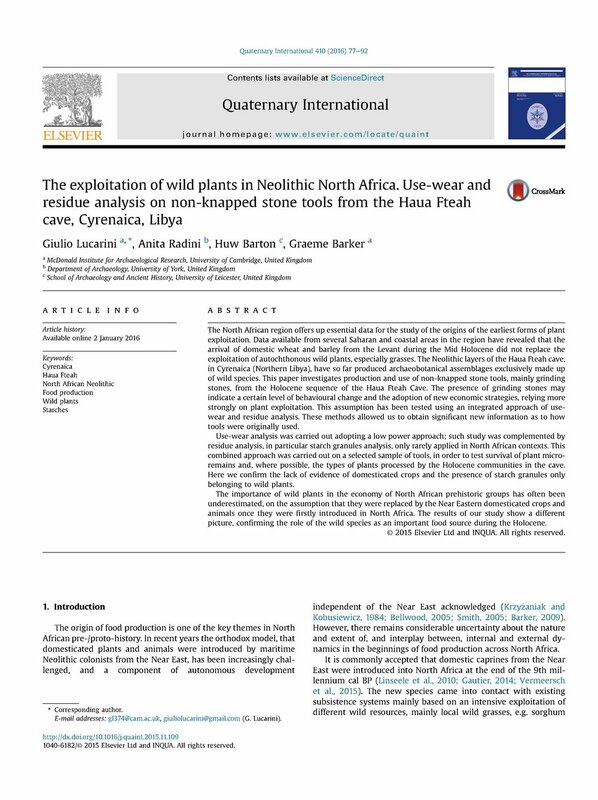 The exploitation of wild plants in Neolithic North Africa. Use-wear and residue analysis on non-knapped stone tools from the Haua Fteah cave, Cyrenaica, Libya. Quaternary International 410, Part A: 77-92. Lucarini, G., Mutri, G. 2014. Microlithism and Landscape Exploitation along the Cyrenaican Coast between the Late Pleistocene and the Holocene: A Matter of Continuity In: Boyle, K., Ryan, R.J., Hunt, C.O. (eds. ), Living in the Landscape. 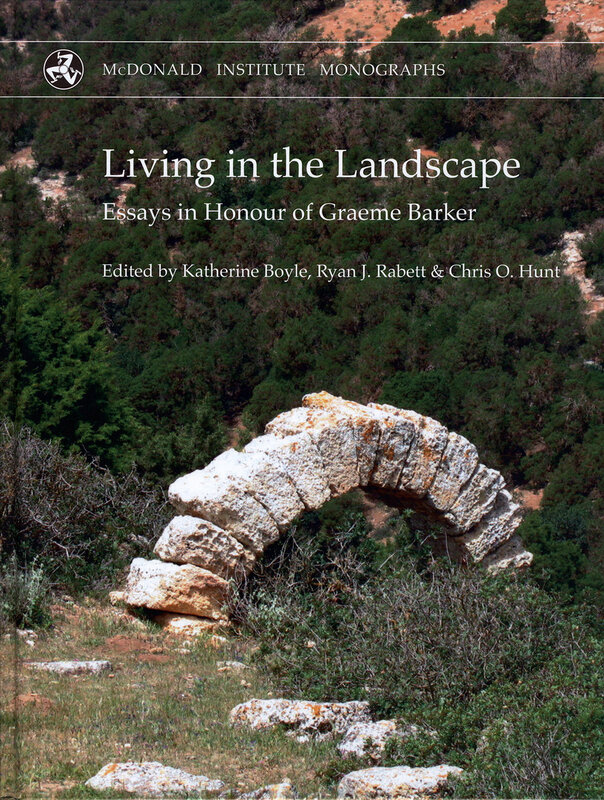 Essays in Honour of Graeme Barker. McDonald Institute Monographs. Cambridge, McDonald Institute for Archaeological Research: 109-120. Lucarini, G. 2013. Was a transition to food production homogeneous along the circum-Mediterranean littoral? A perspective on Neolithization research from the Libyan coast. In: Shirai, N. (ed. ), Neolithisation of Northeastern Africa. Studies in Early Near Eastern Production, Subsistence, and Environment 16. Berlin, ex oriente: 149-173.